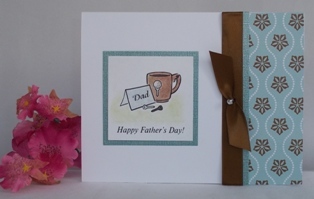 These handmade fathers day cards can help inspire you to make your own cards. 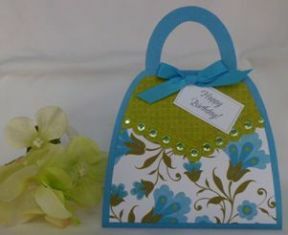 Accent your homemade card with brads and utilize your punches. 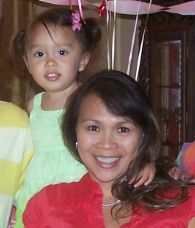 For Father's Day card, I like using brads because they are more masculine than ribbon. I alternated silver and blue brads to help coordinate the blue color with the rest of this Happy Fathers Day card. I added a layer of blue and brown paper around the sentiment which also helped coordinate the brown and blue colors. I used a circle punch for this handmade card making project. The circle punch was used on all four corners of the sentiment and helped create the sentiment shape. 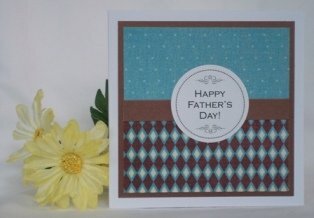 Here's another Father's Day greetings using the same pattern paper as the card above. I used free clip art from Microsoft to create the sentiment and embellished it with ribbon and a silver bead. 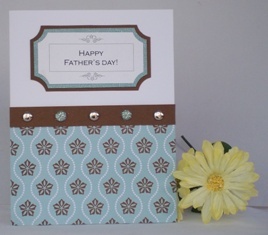 For more Fathers Day card ideas, try this paper card making idea. I often use sketches for my homemade greeting card ideas. I purchased an ebook that had easy designs and picked a sketch for this Fathers Day greeting. 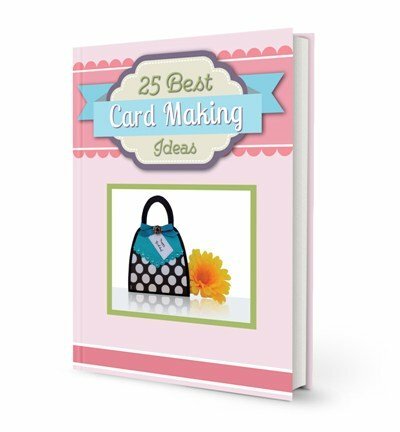 I think the ebook uses paper that is a little outdated but the sketches are timeless so just use your favorite scrapbook pattern paper and you can make a lot of cute and cool cards. I also used a circle punch to cut out the sentiment but it was a bigger circle punch than the first card. First, create a dotted circle on your computer that's just a little smaller than your punch. Type your message inside the circle and don't forget to center it. Add any flourishes or other design and place it inside the circle. After it's printed on cardstock paper, punch it out with your punch. Here's another Fathers Day card idea using sketches from an ebook, "50 Card Making Sketches". I used a paper pack called Latte which had coordinating solid paper to match the pattern paper so I didn't have to go hunting for solid paper to match. 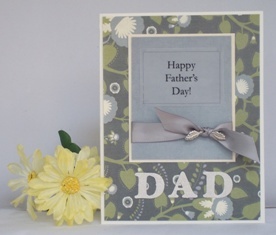 I embellished the happy Fathers Day card with grey ribbon and inserted a silver leaf embellishment through the knot. The sentiment is printed on vellum. 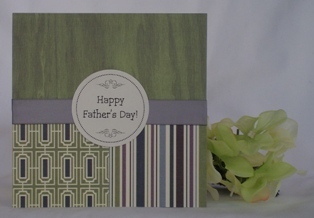 Fathers Day cards to make entail masculine paper prints so I used stripes and a wood grain finish for this handmade Fathers Day card. 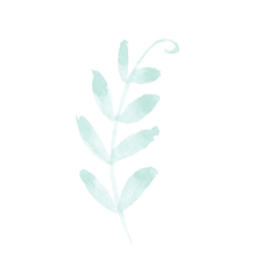 The color scheme is green and grey to keep with the masculine theme. I often use punches for my cardmaking ideas and used the circle punch again for the sentiment. I used the same sentiment as the card above for this greeting.